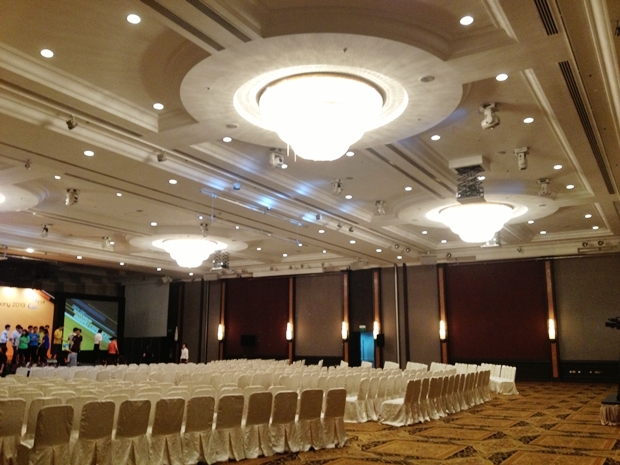 The third hotel that we went to inspect was Orchard Hotel. Met up with Mon, he is very friendly I would say. So friendly that you can talk to him under the sun even when we first met. He discussed with us every of the details. Whatever questions/requests we have made, he explained to us in detail or even more. Then, he invited us to take a look at their ballroom, we literally had a “Wow” when we entered the balloom. The ceiling is high the ballroom is pillarless. 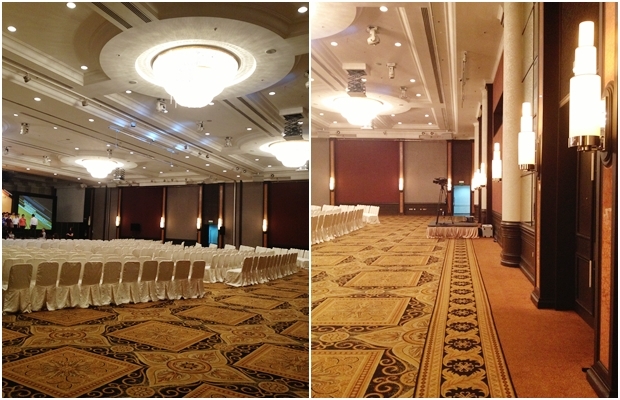 The pictures below are the overview of the ballroom, if our table is within the minimum tables, we are only taking half of the ballroom. For those who are looking at 40 tables or even up to 100 tables, it will look very posh to have your banquet holding here. Their carpet will be changing soon. So I guess it will be very new if you are going to have your wedding banquet next year at this hotel.